St. John XXIII College Preparatory School develops and inspires the mind, body, spirit, and imagination of students by providing a traditional Catholic education. Since opening its doors in 2004, St. John XXIII College Preparatory has had a tradition of excellence in athletics. Many of our teams have earned district and regional titles, Multiple sports have advanced to state over the years, and our swim team has garnered numerous state titles. St. John XXIII College Preparatory develops and inspires the mind, body, spirit, and imagination of students by providing a traditional Catholic education. We educate young men and women who will be fully prepared for life's challenges and who will know and understand the teachings of the Catholic Church. St. John XXIII College Preparatory firmly believes that the role of faith is essential and has a tremendous impact on all aspects of our lives. Our dynamic campus ministry program is committed to playing a vital role in forming the minds and hearts of our students. 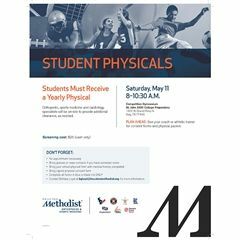 This program involves and serves the entire faculty and staff, our student body, and all of our families. At St. John XXIII we believe that the formation of our students takes place not only in the classroom, but also through participation in extracurricular and co-curricular activities. Students at St. John XXIII have the opportunity to join many clubs and participate in a variety of activities that will enhance their high school experience. The Annual Campaign allows St. John XXIII to fulfill the mission and offer distinctive learning opportunities beyond what tuition can provide. A gift to the Annual Campaign can be designated to the Annual Fund, the Tuition Assistance Fund, or the Scholars Program. We prepare the hearts and minds of our students to serve God and others. 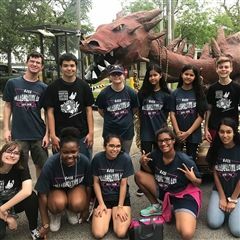 The Treasure of Smaug won 3rd place over all in the Art Car Parade! 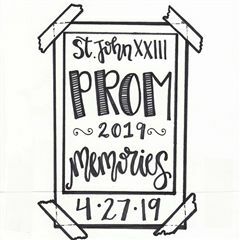 2019 Prom - MEMORIES - TICKETS on Sale now - READ for all Information!